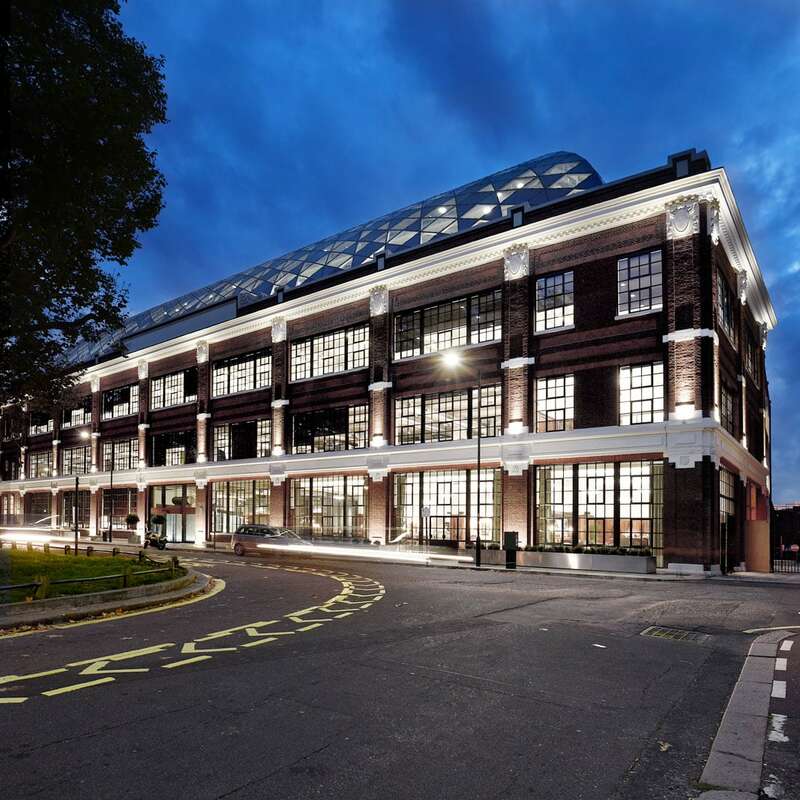 Transforming a Grade II listed motor factory to create a new headquarters for the customer science company. 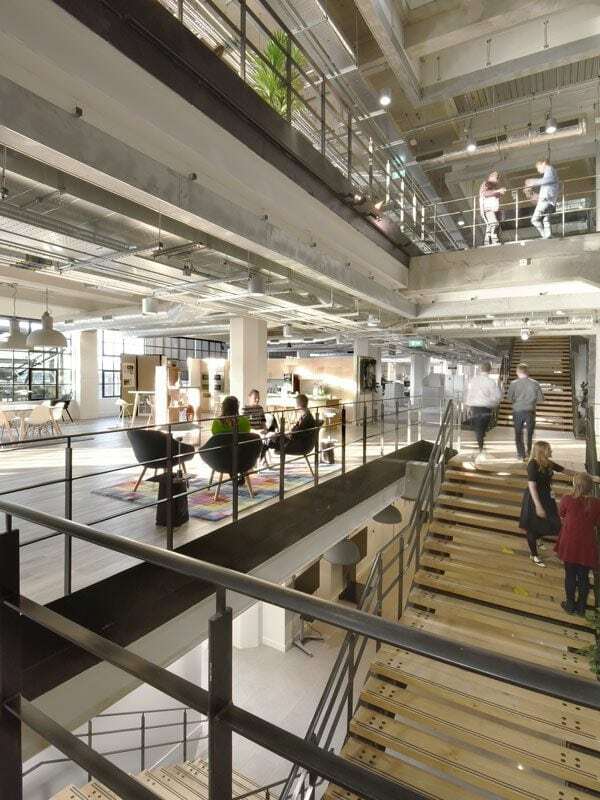 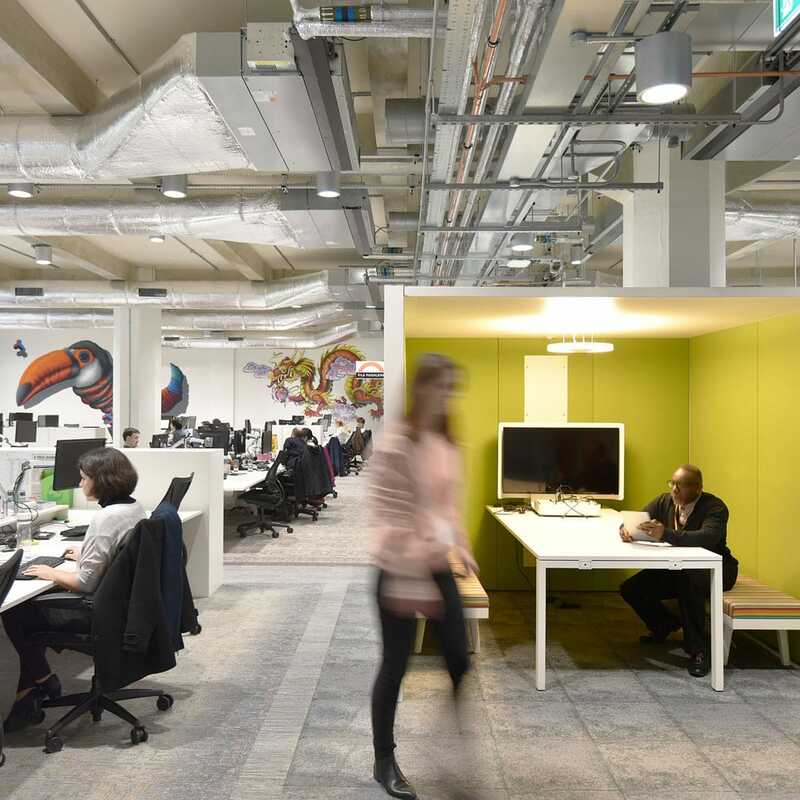 The 11,000sqm conversion, set over five floors, brings all the company’s 1,000 London based employees under one roof for the first time. 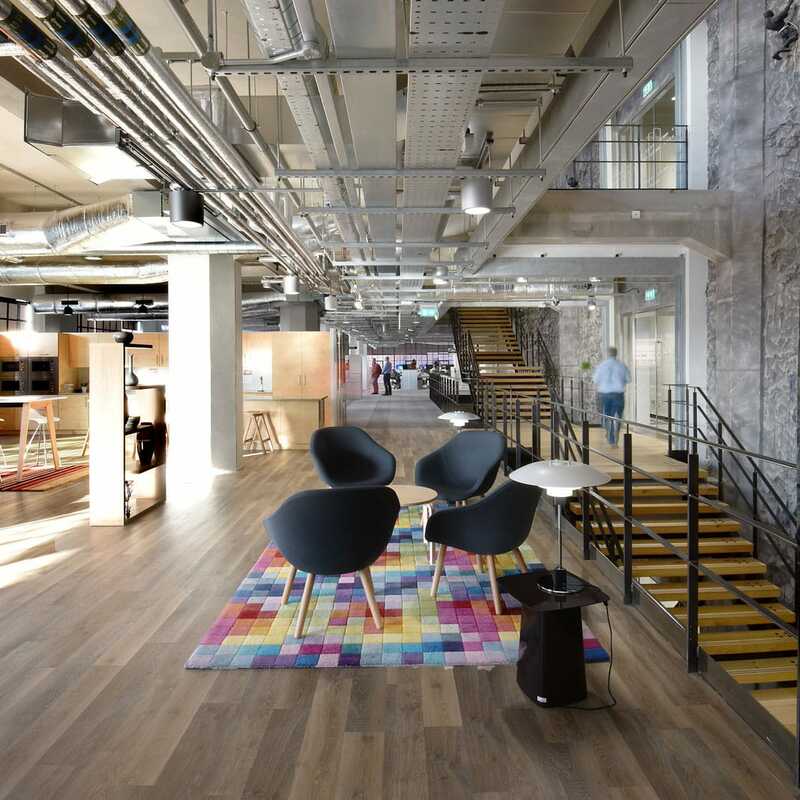 LOM has been involved in the design of a bespoke workplace that celebrates the building’s history and compliments dunnhumby’s culture and way of working whilst remaining true to the history of the building. 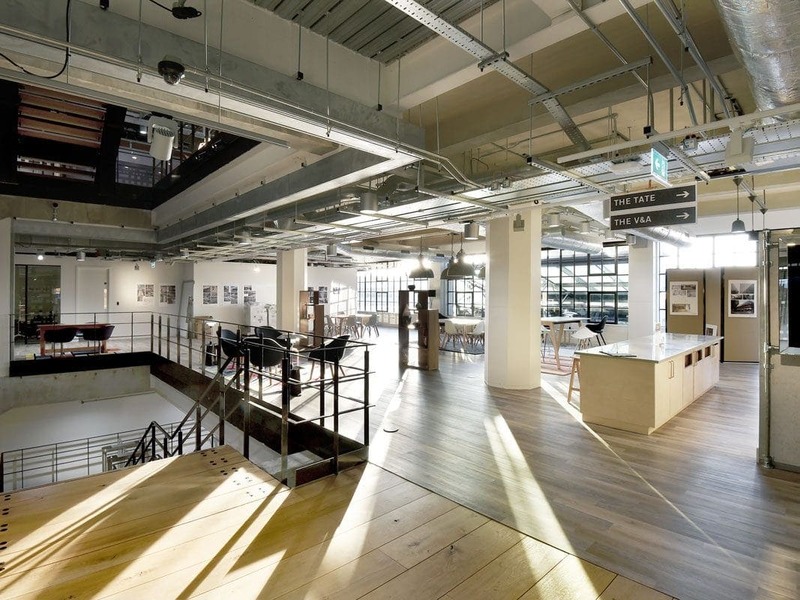 The fit out retains the building’s original features and industrial heritage with an exposed structure and reclaimed bricks. Based on dunnhumby’s existing workplace guidelines the workspace contains a combination of individual, collaborative and client hosting spaces including a cafe, conference facilities and gym. 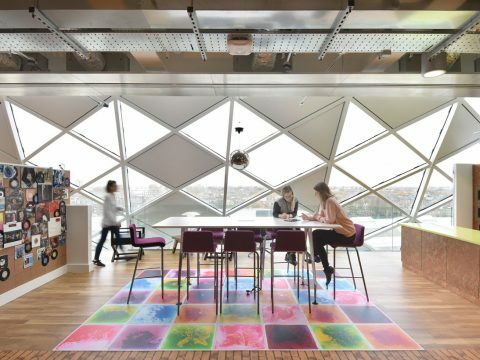 To enable a sense of community the centre of the building was opened up with a feature staircase that creates a visual and social connection between all floors. 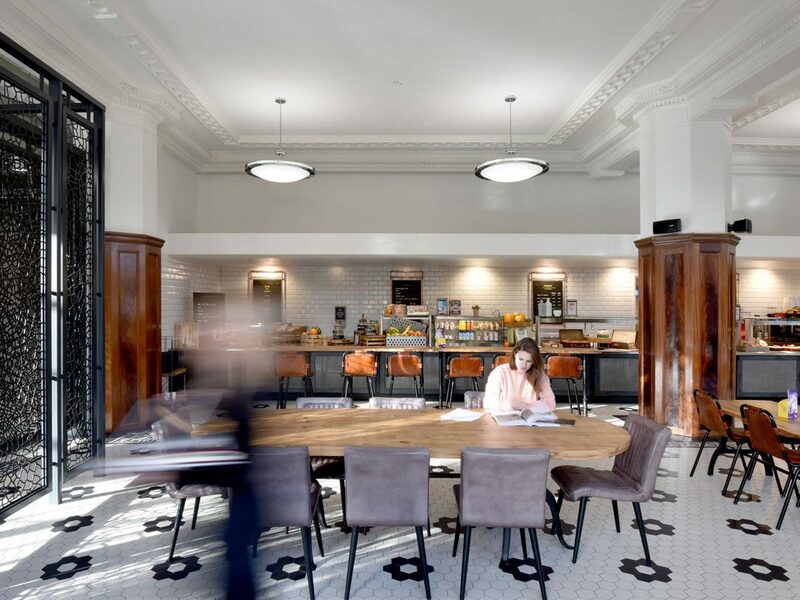 The showroom’s art nouveau period elements; high ceilings, timber panelling and mouldings have been restored and incorporated within the contemporary fit out. 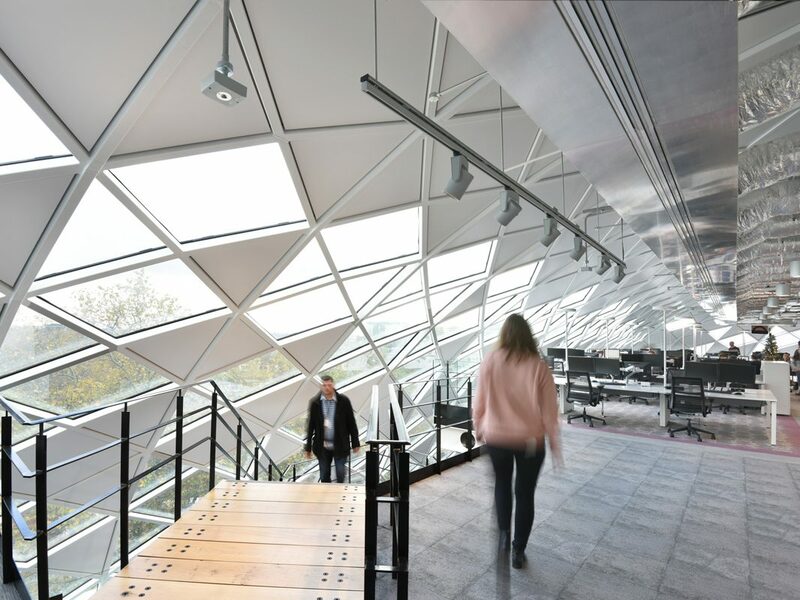 A striking feature staircase creates a visual and social connection between the six floors, themed work settings, cafe, conference facilities and gym. 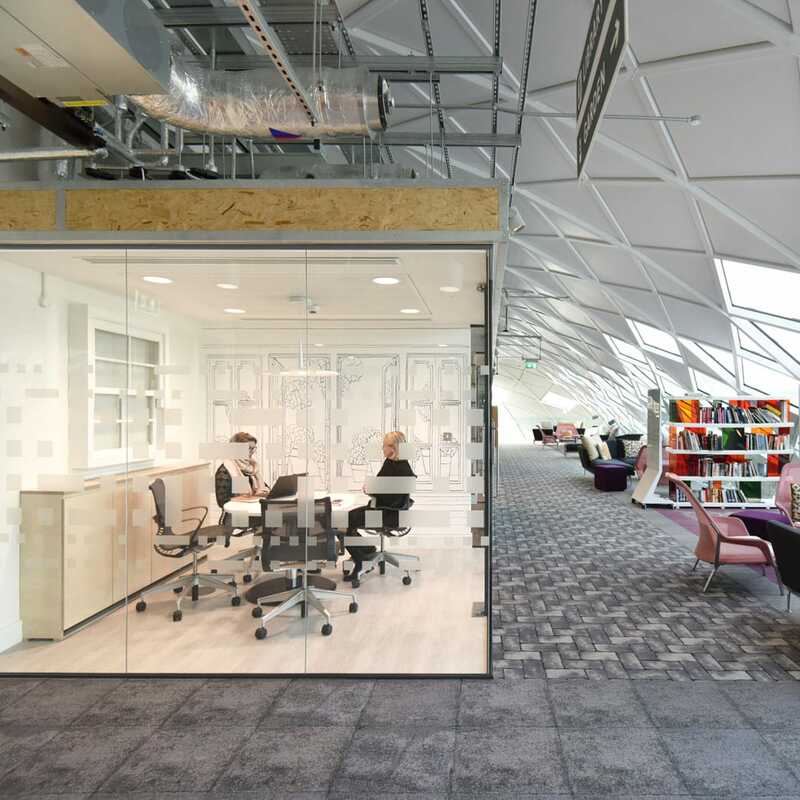 LOM worked together with Gensler at concept stage, and then supported dunnhumby in designing and delivering the project through to completion.